Lessons learned: get lots of fellow campaigners on board from the start, spread throughout all departments and hierarchies. Social tools are not a new invention. Many companies use them already, while others are holding off. What was the decisive factor in Konica Minolta deciding to integrate a social network tool? Jennifer Kotara: It was a necessity. 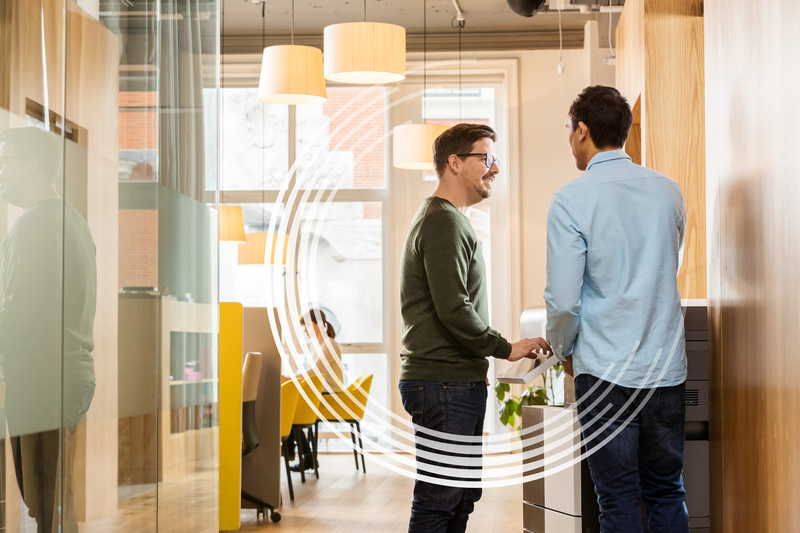 A global employee survey revealed that many of our colleagues want more and improved internal communication. They want to know what is happening in other markets, who is working where and what solutions other teams are developing. That was a clear vote for greater transparency. At the same time, there were a few local pioneer groups who introduced a social tool in their departments and tested it out. Those teams provided highly positive feedback. What exactly did these pioneers like about it so much? Jennifer Kotara: Up to now, our main communication channels were telephone, emails and Skype for Business. With the social network tool, colleagues were able to communicate and coordinate with each other more quickly and easily. A community formed, a knowledge community. That does not really develop via email chains and telephone conferences. The service technicians from Service & Support sent questions to their group while on the go and received answers on how to solve a problem much more quickly. At the same time, everyone felt more integrated into the team. They describe that as a new and valuable quality in communication with each other. If it is so clear that everyone wants a social network tool, IT could just go ahead, purchase a tool and launch it, right? Jennifer Kotara: No, absolutely not. After all, it is not just a software introduction; it changes the organisation. That needs to be well prepared so that the investment pays off. We set it up as a project initially, residing in marketing. First, I carried out a needs analysis by interviewing colleagues in all the markets and different departments and asking: ‘What do you need? What would you like to have?’ In the process, I discovered that other countries were also already testing out the Microsoft product Yammer. With that knowledge, we carried out two workshops; one technical and one on communication with Yammer. We got strategically important partners from different departments and countries on board to assist. The kick-off was at the end of last year. Now we have reached the launch period. So how did the decision for a tool come about? 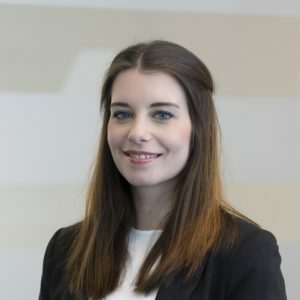 Jennifer Kotara: Due to the prior experience we had, we soon had our eye on Yammer and scrutinised whether it met all the requirements. By way of comparison, we also investigated other tools. But Yammer fit best with our network architecture and interfaces, so we were able to plan a long test phase in the next stage. Who tested what and why did it take a lot of time? Jennifer Kotara: This phase must be the most important in the whole project. After all, it’s no use introducing a tool that doesn’t keep its promises. We assigned four months for the process, and even extended that. If a tool like Yammer is going to change communication in the company, it has to work from the beginning in order to be accepted. The whole project team was involved in the testing, and further local groups tested it on-site and provided feedback. We met for workshops to collect together our experiences and repeatedly compare what the requirements everywhere are and how we could meet them. We became Yammer experts in that period. There was not a single function we did not try out. That later developed into a quick guide, support centre and FAQ. But my most important task was, and remains, the job of convincing people. I collected lots of usage cases together with my project colleagues, in order to be able to say to every department specifically what they can expect from Yammer, how they use it and what will improve. That sounds like a comprehensive orientation. What was still missing before you could launch? Jennifer Kotara: My colleagues in the project team took our progress to their countries, gathered feedback and took on the preparation there. Then we could move to the pilot phase. 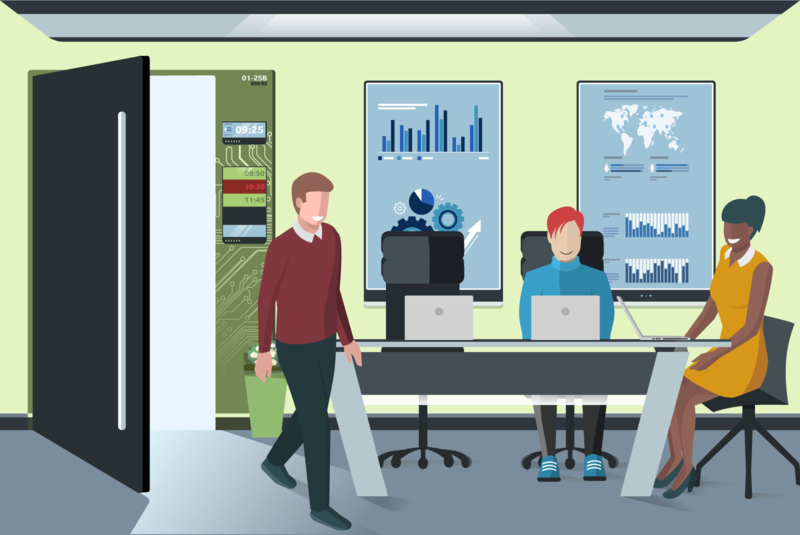 The IT department worked hard to set up software everywhere, create interfaces, ensure security measures and data protection. That was very demanding, so we needed buffer time before everything was working properly. In that period, we nominated seven groups all around Europe who began using Yammer as an everyday tool and collecting best practices. In that phase there were already a total of 200 active pilot users. That was an important test phase to allow us to securely roll it out across Europe. 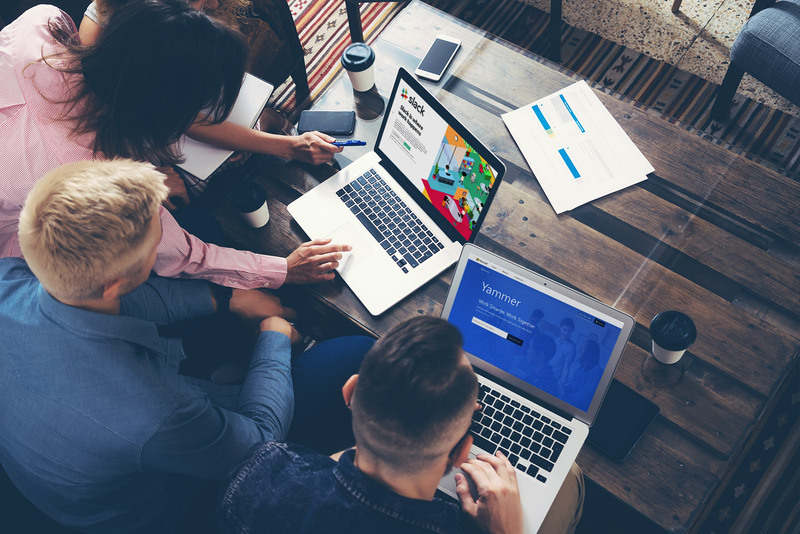 How do you establish if Yammer is being used successfully? Do you have KPIs? Jennifer Kotara: We are combining the introduction of Yammer with clear goals: we want to improve specialist professional interaction with one another. At all levels and between markets. It should become quicker, more flexible and more transparent. Instead of collecting knowledge ‘horizontally’, in departments or teams, a knowledge network should emerge. Yammer is specialised into topics and has a very good search function. Anyone who wants to work on the topic of branding can join the group – which is inter-hierarchical, inter-departmental and international. That is new. We want to speed up knowledge transfer, thus ultimately becoming innovative more quickly. At the same time, we want to use Yammer to send all the important information to everyone, open for feedback. No one should accidentally be left out of the mailing list in this process. Of course, there is also statistical data on usage that we can look at. But the decisive factor is that we perceive the qualitative transformation and that every employee feels the effect of the improved communication. What are the biggest obstacles in converting to Yammer and it being accepted? Jennifer Kotara: I think there are two decisive points in that context: usability and usage. For example, an important question for us was: what language do we use Yammer in? We want English, but using Yammer’s translation function, everyone can post in their own native language and have the posts displayed on their desktop in the language of their choice. In terms of usage, others have reported that interest can drop off quickly. 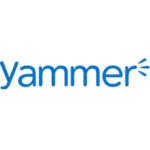 Here, we have invested a lot of time to keep interest in Yammer alive beyond the initial phase and to develop use. We want to have as many users as possible – I would like all my colleagues, from trainee to president, to get involved and make Yammer their tool. What will you do after Yammer is launched? Is that the end of the project for you? Jennifer Kotara: We are introducing the tool gradually in all departments and markets. Of course, my colleagues and I will be happy once that has been achieved. But the work will certainly continue. We can now concentrate on filling Yammer with life. 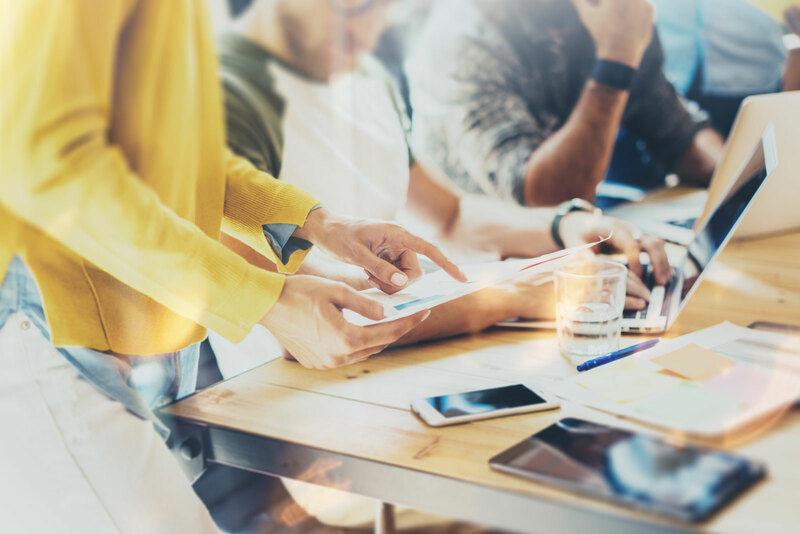 We are planning exclusive content and working together closely with HR to attract more attention to their subjects and offers; we want to have sources, documents and knowledge stored better and to make them more accessible. That is an open process with lots of room for ideas. The basic functions of the tools are similar. They are continually being further developed, this overview therefore does not claim to be complete, but is designed to provide a short introduction to the tools (last updated Nov. 2017). A form of messaging service with a big chat function, providing individual interfaces and offer to integrate additional cloud services easily. 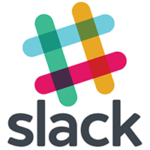 Slack is well known for its good archiving functionality and search function. Integrated into Microsoft Office 365 cloud services, Yammer is structured into groups (public and private) and offers an engaging news feed. The good search function makes it easy to find the information you are looking for. 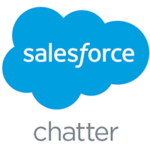 Closely linked to the CRM cloud of Salesforce, Chatter has its’ main focus on mobile applications to engage users. Similar to Yammer the tool offers an holistic news feed. The enterprise social network from the biggest social network offers a well-known news feed on the hompage. Allowing people to join groups and interact with a chat feature similar to Facebook Live, workplace feels like home for everyone. 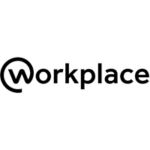 For companies workplace offers a dashboard functionality with statistics to monitor engagement. 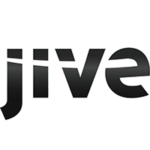 Jive offers networking and real-time exchange like on a forum using a personalized central activity stream. People can engage via chat, blogs and groups. The tool offers simple document exchange and a nice search function. We use WhatsApp and Facebook intensively in our private lives. Such tools can radically improve internal communication within a company – if everyone gets on board.